“Toy Story” That Time Forgot. For those who saw “Toy Story of Terror” on ABC last Halloween, we’re sure you were surprised at how good (and scary) it was! If anything, it showed us how diverse the storytelling of already beloved set of storytellers (even talking toys) are. That diversity will once again show itself with yet another TV special from the great storytellers at Pixar. Due to the ratings success from the first special, “Toy Story That Time Forgot” will debut for the 2014 holiday season on ABC Network. It’ll be the second TV special created by Pixar and will reunite the original voice cast from the movies once again. ABC did not announce a specific premiere date or time, but once they do, we’ll be sure to share it here. 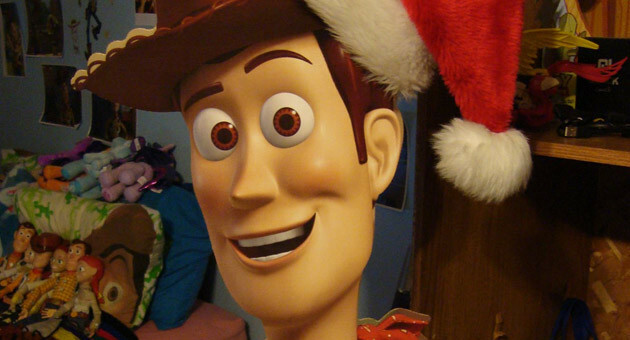 Are you excited for the latest “Toy Story” TV special? Did you enjoy the first one for Halloween? Do you think Pixar should make more or should they stop while they are ahead (and while the toys are still loved)? Let us know in the comments!